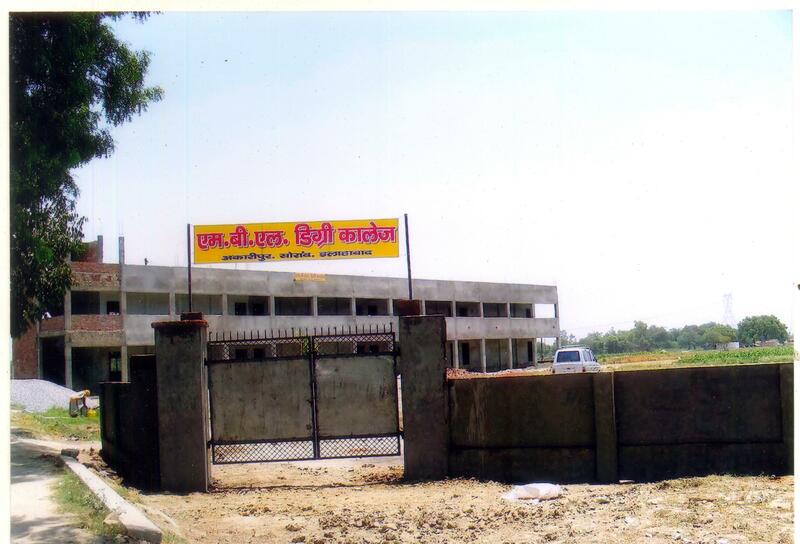 MuBL Degree College, Allahabad is situated in village Akaripur, Soraon. It is affiliated to Chhatrapati Sahu Ji Maharaj University (CSJMU). The college offers Bachelor of Arts (BA) in major six streams. The college regularly maintain the healthy educational environment. The main motto of establishing the college is to deliver the higher education to the weaker section/rural area people, so that they can increase their living standards and help towards growth of Nation. The main aim of the college is overall development of the students through modern education technology. Why to join MBL Degree College? Academic Facilities- College excellent support facilities like gymnasium, health care center, sports complex, transportation facility, Banks, ATMs, Post office & Courier services, Residential facilities for staff, Hostels and Hobby clubs. Scholarships- Institute provides various scholarships to the financially challenged students to help in their studies.